ABBA GOLD have toured all over the world with their fantastic live 7-piece show. They have been performing for over 20 years, played more than 3,500 shows to over 2.5 million people in 41 different countries. This doesn't include the millions of people who have seen ABBA GOLD on numerous television shows for the BBC, ITV, Channel 4 and Sky. They have also played on many other television channels around the world including SIC TV (Portugal) and PRO TV (Romania). ABBA GOLD's largest audience was 93,000 people in Aberdeen when they headlined a massive festival which also had the Sugababes, Gareth Gates, Hear'say and Datius further down the bill. 80% of the venues on their last European tour were sold out. 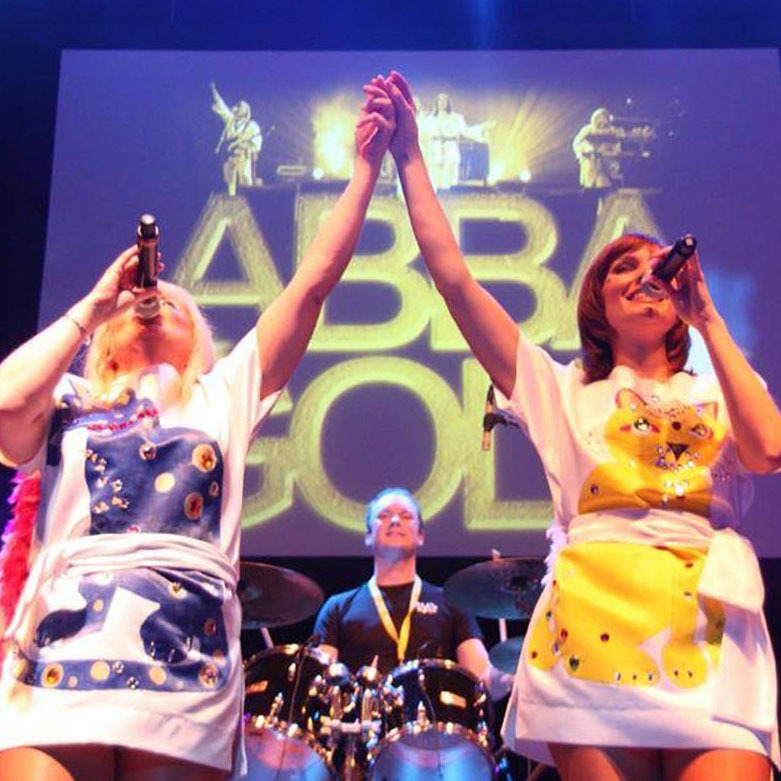 To date, ABBA GOLD have played in The UK, Austria, Bahrain, Belgium, Bulgaria, Canada, The Channel Islands , Cyprus, Czech Republic, Denmark, Egypt, Estonia, Finland, France, Germany, Greece, India, Italy, Kazakhstan, Latvia, Lebanon, Lithuania, Ireland, Malta, Moldova, Morocco, Netherlands, Norway, Poland, Portugal, Qatar, Romania, Russia, South Africa, Spain, Sweden, Switzerland, Turkey, U.A.E. and Ukraine. The ABBA GOLD show has been seen by many famous people including Sir. Richard Branson and Sir. Alan Sugar. ABBA GOLD still remain one of the most influential Tribute Bands of all time and have spawned several imitations. Abba Gold are proud to say that they sing and play live at every show, whether that is a 30 minute or full 2 hour performance. They perform all your favourite songs plus some of the amazing album tracks that only the true Abba fans will remember. 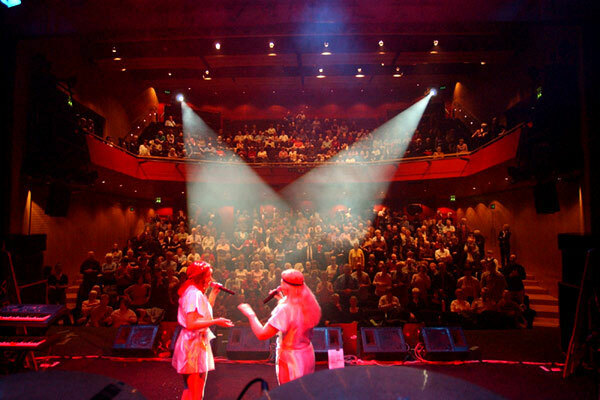 ABBA GOLD have studied the original ABBA recordings down to the finest detail in order to be able to faithfully recreate that special ABBA sound at their live shows and also have their own sound engineers. They have also meticulously recreated the ABBA costumes from every source available, including several trips to the ABBA Museum in Stockholm. The Abba Gold show includes a minimum of 8 costume changes, really illuminated by their fabulous lighting engineers using pyrotechnics. 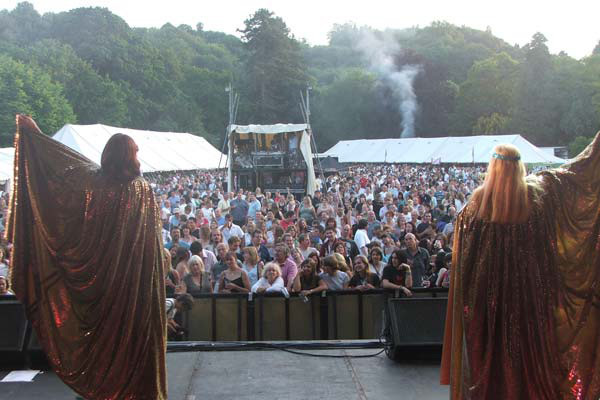 ABBA GOLD adapt their show to cater for all types of venues however big or small and always ensure a party atmosphere. Previous venues have included theatres, leisure centres, hotels, nightclubs, and open air festivals throughout the world. They have also shared the stage with Darius, Gareth Gates, Slade, Steve Harley, Liberty X, Atomic Kitten, The Sugababes and many more. ABBA GOLD also enjoy regular television appearances & radio broadcasts. "From the beginning when ABBA GOLD took to the stage, they had the audience singing and dancing along with their perfect stageshow." "Three times the audience wanted more and three times ABBA GOLD came back to the stage." "An electric stage presence and a fabulous show once again!" "Dear ABBA GOLD, I have just returned home and feel I must write to you to applaud you for staging a wonderful night's entertainment. The concert was a truly fantastic family show enjoyed be everyone there."